Reviews of the best wedding sparklers in the wedding industry. 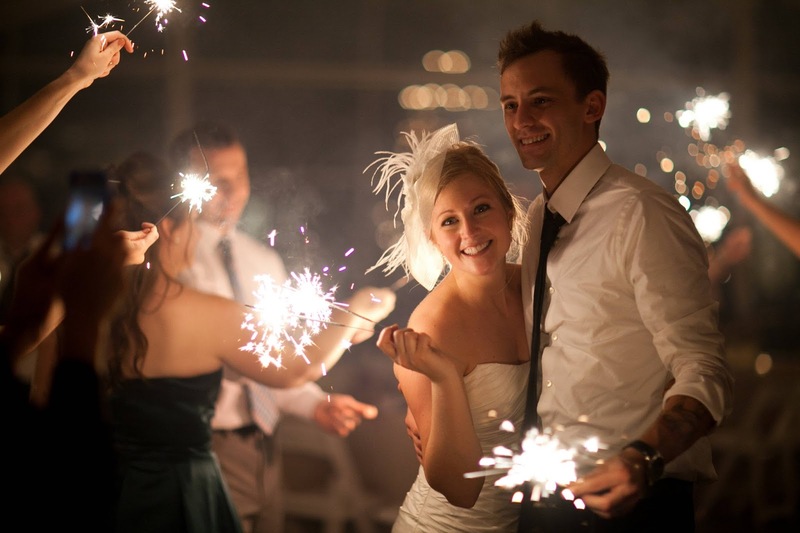 If you have finally decided to use sparklers for your wedding, congratulations! Many couples can attest to the fact that the use of wedding sparklers can make any wedding day more magical. In addition to that, this is also the best way for the couple to allow each and every guest to participate in their wedding hullaballoo. If you have decided to use wedding sparklers for your big day, the best time for you to use it is during your grand wedding exit. To make sure that everything will go out as planned, it is highly recommended that you take time to choose the right wedding sparklers for your needs. Every bride and every wedding is unique and special. Wedding Sparkler Reviews knows that each and every couple wish to celebrate their wedding as uniquely as possible. If you will have a wedding more than 125 guests, it is recommended that you take advantage of wedding sparklers. One of the highly coveted wedding sparklers available in the market is the 36-inch wedding sparklers. This is commonly used to send the couple off after the end of the ceremony. Since it has 3.5-4 minute sparkler time, the photographers can easily capture this special moment. This is the best way for the guests and their family members to send the couple their love as they enter the new chapter of their life. The second sparkler product that is common nowadays is the 20-inch wedding sparkler. With its 2.5 minute burning time, this item is recommended for a wedding with 50-125 guests. With its softer size, it is more recommended for small and intimate weddings. This is usually used in Farewell Circle for the bride and groom. This is the best way for the bride and the groom to bid goodbye to their few beloved friends and family members. Last but not the least, we also offer 10-inch wedding sparklers. This is perfect during the toasts or the first dance ceremony. If you are planning an indoor wedding ceremony, then this is the safest and most recommended type of wedding sparklers for the wedding. While the best man and the bridesmaid gives off their toast, the guests can participate in this emotional part by lighting their sparklers. Wedding Sparkler Review is dedicated to giving you the right type of wedding sparklers you need to make your big day memorable and magical. When it comes to choosing the right wedding sparklers, it is best that you take into consideration the type of venue that you have, what part of the wedding the sparkler you will use and what you expect from the wedding sparkler. In this way, you can be able to determine the right size of wedding sparklers for your needs.